Traveling is great nourishment for the Soul, and you know it. When you need some perspective in life, or when you’re bored with your routine – doing a quick escapade to a different setting will surely help. And if you really want to travel more often but you lack the motivation, you should watch some (or all) of the movies mentioned in this article. Since it release in 2000, this movie has caused millions of viewers to feel like grabbing a backpack and setting out into the unknown. The story revolves around Richard, a happy-go-lucky American who hears rumors of an Idyllic beach somewhere in the shores of Thailand. Fueled by a desire of having new experiences, he finds companions to go with him in search of those mysterious paradise shores. The journey turns out a bit more dramatic than dreamy, but even so… the landscapes they come across are so gorgeous that you cannot help but feel that you have to go somewhere like that. 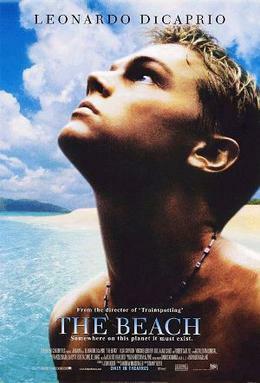 Not unlike what happens with “The Beach” this movie focuses on a theme of long-term traveling as an escapade from the oppressive aspects of modern society. Here, the protagonist is a young college graduate who decides to step aside from civilization in broad, radical steps. He destroys his credit cards and ID, donates his savings, and sets course across the USA, ultimately heading out to the wilderness of Alaska. There, he finds peace of mind and an existence unencumbered by the expectations of others. A cross-continental family meeting under the guise of a spiritual journey. That’s the premise behind the Darjeeling Limited; here, three brothers try to amend their broken relationships while traveling in the Darjeeling Limited, a luxury train that goes across the expansive eastern country. During this journey, they get to see first-hand what makes India such a unique culture, and they experience one of the most satisfying yet paradoxical aspects of traveling: how it sometimes allows one to reconnect with his roots even when exploring entirely unfamiliar grounds. Everyday feels like Saturday… when you’re traveling around the world. That’s the motto behind this documentary that explores the motivations and experiences of real-world long-term travelers who once chose grabbing a backpack and leaving all behind. Here, you’ll get to know real people of various age groups and social statuses (including a 73-years old senior), who decided to explore the world several months or years at a time, and who realized it was the most liberating experience of their lives. Watch this to find out why. What to do when your wedding plans fail, and your first great love turns out to be a deception? For most people, moping about would be the logical answer; for the protagonist in this fiction, going alone on what would be his honeymoon trip to Central America became the right option. The most interesting aspect in this movie is how it contrasts the ideas we tend to have about foreign places and the expectations we take with us there, versus the actual experiences we tend to partake in, and how they ultimately change us. How many countries can you possibly visit within a two-week timespan? That’s just one of the concepts behind “Last Stop for Paul”, where two disgruntled co-workers decide to head to an alluring “Full Moon Party” in Thailand, with one self-imposed condition: to go and spread the ashses of their deceased friend Paul through as many countries as they possibly can, before reaching their goal. While doing so, they realize how traveling can change their lives decisively for the best. These movies have been clearly devised to appeal to travelers, and spark their passion for seeing the world. Not only are they interesting stories in their own merit, but they will cause an itch that only traveling can scratch. And that is just the effect you’ll experience after watching them! This article was brought to you by http://ukholidayplaces.co.uk/, a portal for booking all kinds of holiday accommodation around the UK.